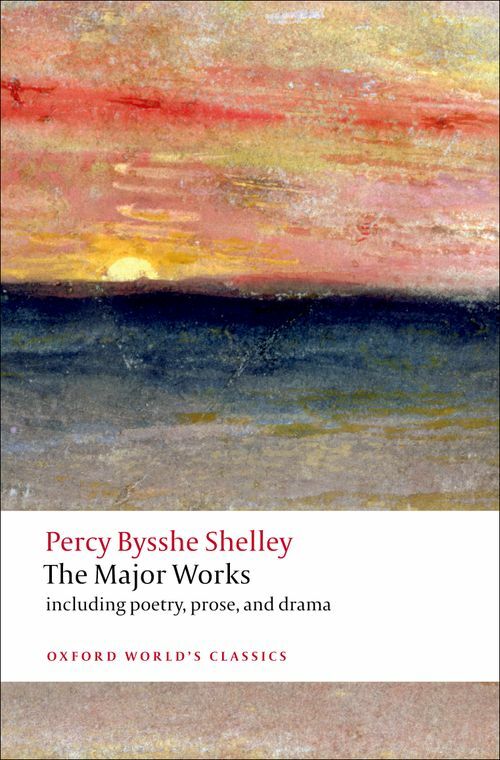 This major new edition, originally commissioned for the acclaimed Oxford Authors series under the general editorship of Frank Kermode, brings together a unique combination of Shelley's poetry and prose - the lyric poems, plays, longer poems, criticism, and essays - to give the essence of his work and thinking. Percy Bysshe Shelley (1792-1822) was a Romantic poet of radical imaginings, living in an age of change. His tempestuous life and friendship with Byron, and his tragically early death, at times threatened to overwhelm his legacy as a poet, but today his standing as one of the foremost English authors is assured. This freshly edited anthology - the fullest one-volume selection in English - includes all but one of the longer poems, from Queen Mab onwards, in their entirety. Only Laon and Cythna is excerpted, in a generous selection. As well as works such asPrometheus Unbound, The Mask of Anarchy, and Adonais, the volume includes a wide range of Shelley's shorter poems and much of his major prose, including A Defence of Poetry and almost all of A Philosophical View of Reform. Shelley emerges from these pages as a passionate and eloquent opponent of tyranny and a champion of human possibility. Zachary Leader has published widely on nineteenth- and twentieth-century literature. Among his books are Revision and Romantic Authorship (1996), Romantic Period Writings 1798-1832: An Anthology (co-edited with Ian Haywood) (1999), and (as editor) The Letters of Kingsley Amis (2000). ; Michael O'Neill has published widely on Romantic and twentieth-century poetry. Among his books are The Human Mind's Imaginings: Conflict and Achievement in Shelley's Poetry (1989), Percy Bysshe Shelley: A Literary Life (1989). and Romanticism and the Self-Conscious Poem (1997).